I recently ran into a sentence with one conjugated verb and two infinitives. 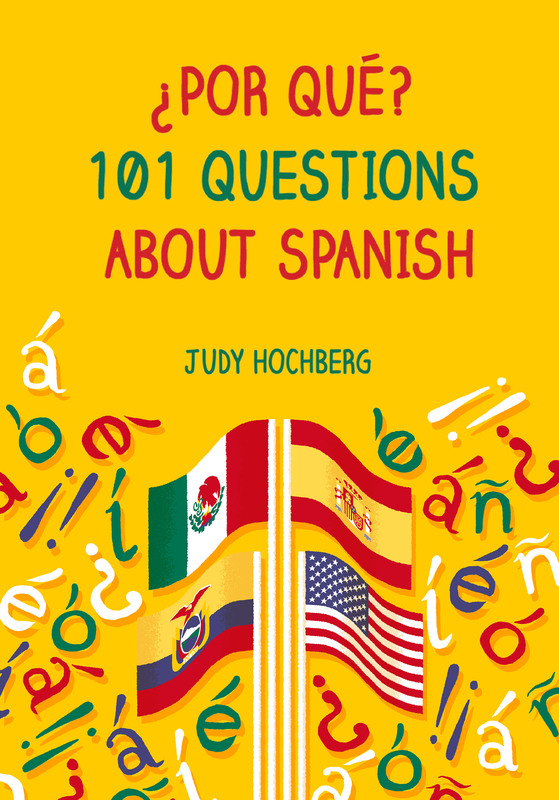 But seriously…it was a sentence like Quiero poder hablarlo ‘I want to be able to speak it’, where ‘it’ referred to, perhaps, the Spanish language. I don’t remember whether this sentence came up in a student’s paper or was just something I was working out in my head. At any rate, I was curious to find out how many possible positions there were for the lo pronoun in this sentence. As all of you know if you’ve tangled with Spanish grammar, an object pronoun like lo can come either before a conjugated verb or after an infinitive. (These are the main two rules, though there are others.) So in a sentence with two verbs, of which the first is conjugated, the pronoun can either precede the first (Lo quiero hablar) or follow the second (Quiero hablarlo). Both are equally valid, and Spanish speakers freely alternate between them. I wondered: in a sentence with one conjugated verb and two infinitives, are there three possible pronoun positions? I posed this question on two of my favorite forums, /r/Spanish and WordReference, and the answer was a resounding Sí: all three positions are legitimate. This entry was posted in Nouns and pronouns and tagged after an infinitive, before a conjugated verb, object pronouns, position of object pronoun, Spanish pronouns on 7 April, 2016 by jhochberg. Really?! I’m surprised. I would have that it could not be attached to the middle verb. To me, in your example (Quiero poderlo hablar) would translate as “I want to be able IT to speak.” Interesting. Also, I noticed that you mentioned “Before the conjugated verb” or “after the infinitive.” I like to stress “ATTACHED to the infinitive” because many students put it separately. Or, they put it in between 🙂 I try my best to tell them to “take a stand!” because in the middle is never right. Thanks for the info and the discussion! Yes, it surprised me too, but a number of knowledgeable native speakers on both forums were quite sure that all 3 positions were kosher. Of course attaching the pronoun to the verb is simply an orthographic convention. Indeed: object pronouns are clitics whether the precede or follow the verb. Is this possible?? Is it right? Does anyone have any other situations other than these? As Ricardito said, Quiero que tú ponertemelo doesn’t work because Quiero que triggers the subjunctive (ponga). However, in that case, since ponga is conjugated, the pronouns would have to come before it, as in Quiero que me lo pongas. The example I always come back to for a full RID sequence is Cómetemelo ‘Eat it all up for me’, which is also a good example of stress five syllables from the end of a word! Tiene razón, Judy, “quiero que” antecede siempre a un subjuntivo. Quiero que te me lo pongas. Las tres opciones del artículo: “lo quiero poder hablar”, “quiero poderlo hablar”, “quiero poder hablarlo”. Tienen el mismo significado y la casi misma frecuencia de uso. Existió una cuarta forma en castellano antiguo “quiero-lo poder hablar”; cuando el clítico, no era admisible delante del verbo. Un placer leerla y un saludo. I am not sure about the pronouns, but the sentence is not right anyway. You can’s say “tú” and follow it with an infinitive. After “quiero” you would use present subjunctive So you would have to say something like: “Quiero que tú póngastemelo” but that sounds pretty weird,so I’m not sure. Yes, I figured out that that was the sentence you were referring to.